I’m quite a fan of Kolokoltsev, even though his efforts at thorough-going police reform have run into all kinds of obstacles, from bureaucratic inertia to political rivalries, and although one could hardly say today’s Russian police are a model of efficiency and honesty, I do think it’s fair to say that they are moving in the right direction. It is also worth noting that he also still seems to have a decent level of support amongst the police themselves, as a proper professional copper, rather than a yes-man transplant from the security agencies (Rashid Nurgaliev, 20014-12), or a political appointee (Boris Gryzlov, 2001-3). None of that necessarily counts, though, and it is perhaps more important that Kolokoltsev is a professional, not a courtier, with no traction in Putin’s inner circle. In other words, he is just a “manager” there to do his job, and can be discarded freely–as far as the Kremlin is concerned–when he becomes inconvenient or simply someone more convenient comes along. These days, rumour and even spurious announcements of resignations and dismissals are part of Russian court politics (because yes, it is a court rather than a government, with the ear and confidence of the “tsar” counting for everything). While the rumours don’t necessarily guarantee that Kolokoltsev is on his way out (possibly to some comfortable but powerless sinecure), they do say that at least someone, and someone with a degree of political muscle, is out to get him. 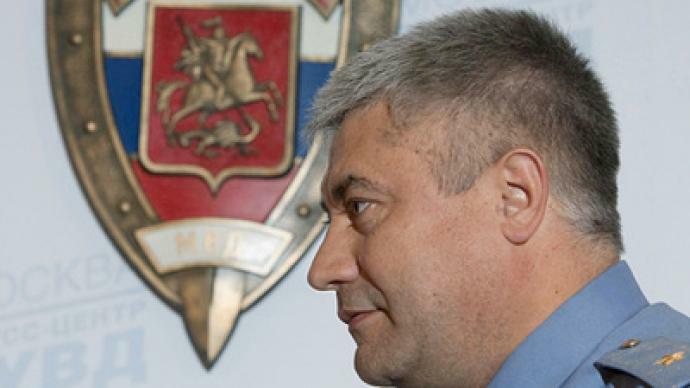 It is worth noting that the embarrassing corruption case over GUEBiPK, the Interior Ministry’s economic crime directorate, is still dragging on into scandal, pushed to a considerable degree by the rival Federal Security Service and Investigatory Committee. But what gives these agencies the chance to claw at the MVD is that at present the Kremlin appears less interested in legal niceties than loyalty and political utility, and Kolokoltsev, while not being considered disloyal, may be too much of a professional for current tastes. There is a definite correlation between actual and proposed reshuffles of the policing and security agencies and the degree of unease felt in the Kremlin, so this is at the very least a symptom of concern about the potential for political unrest as the economic situation worsens. Of course, this is emphasised by the name of his prospective successor, recently-promoted first deputy interior minister (and commander of the Interior Troops) Viktor Zolotov. A former head of Putin’s personal security (and indeed, one of the president’s judo sparring partners), Zolotov has a reputation as a tough loyalist, a “maximalist” in the words of one Russian cop, whose interests are in protecting his patron rather than necessarily upholding the law. We’ll see if Kolokoltsev goes and Zolotov’s recent rapid rise continues. If this does happen, it’ll be a clear sign that the Kremlin is manning the barricades and preparing for trouble ahead. A Hurricane in the East: are rebels getting BM-27 ‘Uragan’ Rocket Systems? Meget interessant. Merk avslutningen. MG kan sine ting. Sendt fra en Samsung Mobil.